What has 4 letters, sometimes 9 letters, but never has 5 letters. 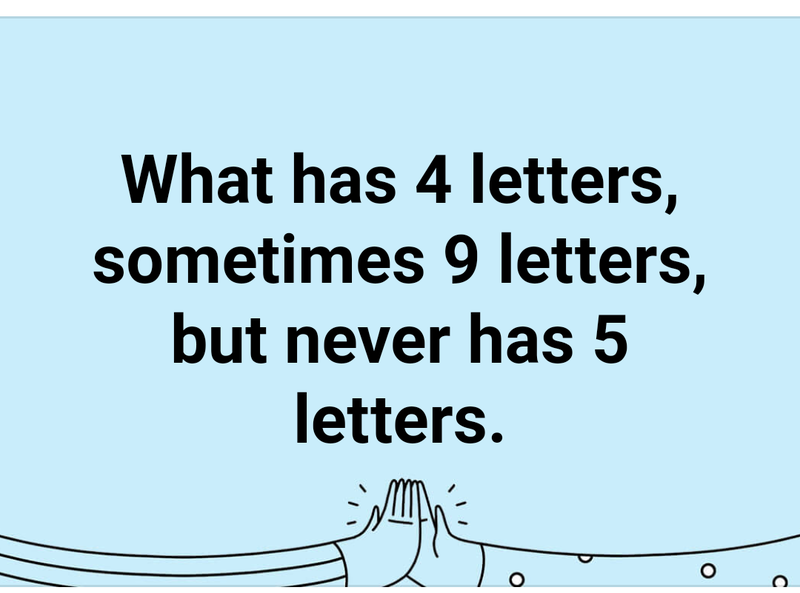 This is the latest WhatsApp puzzle. 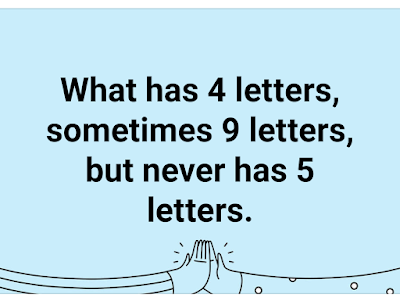 Read the above image and share the answer in the comment section. Or look for the right answer in the below section. It is not a question, but a statement. 'What' - this word has 4 letters. 'Sometimes' - this word has 9 letters and 'Never' - has 5 letters.